Gymnasium is not always a gym. Gymnasiums in Czech Republic. 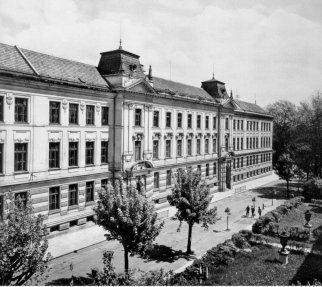 In Czech Republic, gymnasium is not only the place of exhausting athletic exercises and games, but it is also the name of specific secondary-education institutions, which coincidentally, have little, if anything in common with physical activities. The elementary school ends in grade 8 or 9 and afterwards, the youngsters must decide where to proceed with their lives. Most of them end up in an apprenticeship teaching them the specialized skills of the trade of their choice. The more ambitious students list in industrial schools preparing them for engineering careers. A small, though not negligible group, enrolling later in universities to study law, medicine, philosophy and sciences, aims for the gymnasium to train their brains rather than muscles, of course. One might say that gymnasium is the place, where the students experience the first time, from the first hand, the taste of knowledge and scent of science. During lessons of literature, chemistry, physics, history and other subjects that can later grow into a full-blown research career, they not only learn how to study, but also have time to think what serious they accomplish after their maturity exam. Naturally, the more common kind of love streams in the students blood at that age, and so, no wonder, it is the girl friends, boy friends, palls and bodies these folks carry in heart a few years later, rather than the wise words of their professors. After a four-year exhausting study, culminating by a comprehensive exam testing thoroughly whether the grades earned over the semesters are rightly deserved, the students depart and often do not see each other for many years to come. 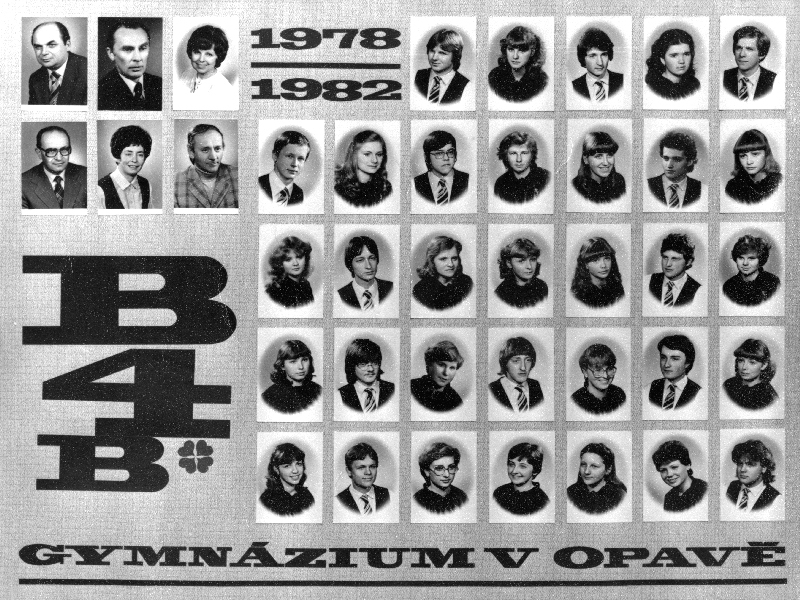 In Czech Republic, the tableau, depicting the familiar faces, is the only memory, many of those, graduating till the late eighties, have as a reminder of their studies. 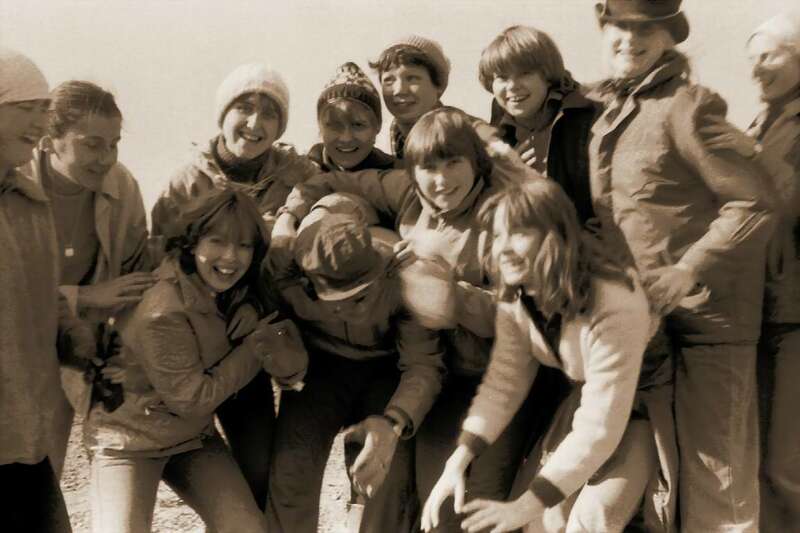 It was thus a very pleasant surprise when Dana's classmate Mirek Pohl agreed to put his vast photo collection of older and recent gym-related photos on out site. The Czech version of the site shows number of photos our classmates will hopefully enjoy. The time for setting up an English version is yet to come. The photos with figures are by Mirek, the panel picture is the authentic class tableau and we also added two borrowed shots of the Dana's formal gymnasium.